Road and highway signs are an integral part of our transportation system. Without their support of guiding and directing traffic, chaos would undoubtedly ensue. Each state’s Department of Transportation (DOT) understands this, which makes proper signage a very important part of DOT road construction agendas. But what is the best material to use for road and highway sign posts? If you pay attention while driving down the road you’ll likely see a good mix of both metal and wood posts which might leave you wondering, is one better than the other? The answer is far from black and white. There are several different factors each state and contractor should consider before installing new traffic signage. Here we’ll dive into the conversation a bit further to better explain which sign post material is ultimately better. A large factor that determines material is strength, for obvious reasons. Permanent traffic signs need to be solid and durable. While achieving strength is possible with both metal and wood, application heavily impacts the determination. For example any signage that is to be hung above or over a highway should use steel structures to support. Other applications where signs are more stationery on the ground, wood is preferred. Wood sign posts are available in various grades and species, which will impact the level of strength. State DOTs often do studies to ensure only the best and most effective grades and species are used. Traditionally Southern Yellow Pine (SYP) has been the top choice as it’s the strongest of the softwood species. Red Pine is a good alternative to SYP when needed. Both species can provide the strength that is required for sign posts and are readily available. When it comes to durability and performance in the long run, wood has some big advantages. Steel is very strong, which might lead people to believe that it would always win in this regard, however steel, even when galvanized, can rust overtime which can compromise its structural integrity. Wood on the other hand is a natural product that, for sign post applications, has been pressure treated to enhance its performance characteristics. Wood weathers well overtime and as a readily renewable resource wood is easier and cheaper to replace, should the need ever arise. Cost effectiveness plays a major role in this decision asl well, since DOT construction generally uses thousands of sign posts each year. Wood is by far the more economical choice in comparison to steel sign posts. Not only is wood less expensive to process into sign posts, but it’s also easier to work with which can impact contractor labor costs. A final consideration, that will likely continue to impact DOT decisions as time goes on, is the environmental factor. Steel is a manufactured product that has a much larger carbon footprint than wood posts. In fact, studies show that it requires 12x more energy to produce steel posts vs wood and the process emits roughly 30x more carbon dioxide into the atmosphere. As state legislatures continue to press the importance of environmental responsibility, so will the states’ departments of transportation. It’s very important when dealing with government jobs, like DOT construction is, to find reputable sources for all materials used. 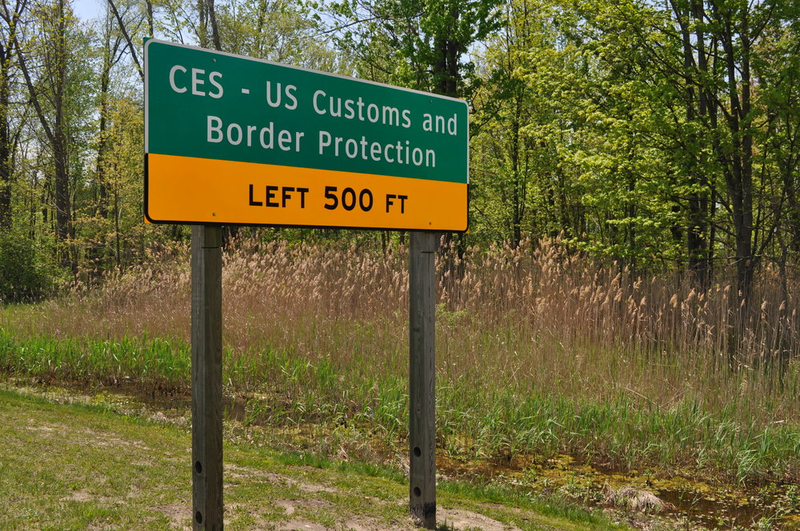 Governments generally have very specific requirements for materials, like wood sign posts, so working with a manufacturer / distributor who is well versed in those requirements will make the job significantly easier. For example, holes (of specific diameters) are required to be drilled into the posts (in specific places) to allow for the right sheer upon impact, should any driver collision occur. Working with a supplier who is unexperienced or unwilling to do the proper research can be a costly mistake and a bridge you don’t want to cross. At Pine River Group our Commercial and DOT sales division actively works to source quality material for various state transportation departments including MDOT and WDOT. Our team has worked with MDOT for over 35 years, supplying the vast majority of all wooden sign posts throughout the state of Michigan. Whatever the need, we’ll work to source only the best to meet all requirements so you can build with certainty.